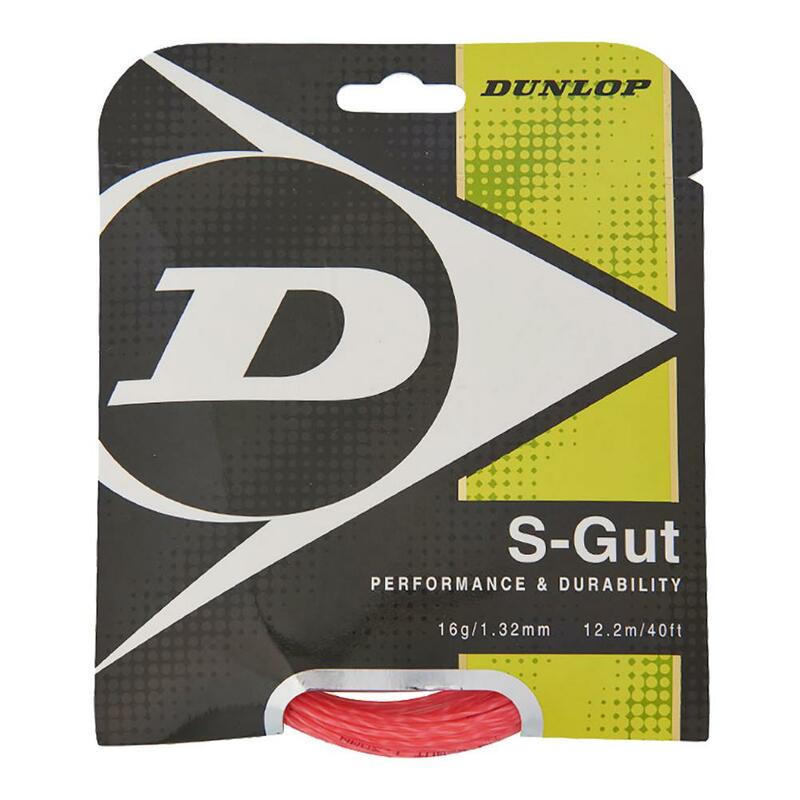 Featuring new packaging and a material reformulation, the Dunlop Biomimetic S-Gut 16 updates the classic synthetic gut with some improvements. Constructed utilizing a large monofilament core to provide a solid feel and tension maintenance. 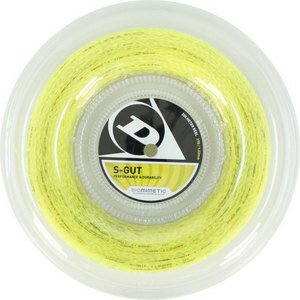 S-Gut also features smaller outer wraps to increase feel and soften the stringbed. 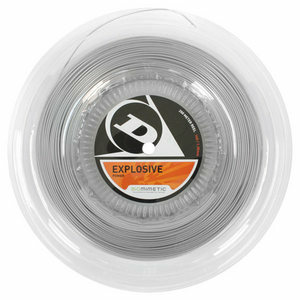 The result is a comfortable basic synthetic gut string, perfect for players looking for a solid playing string without breaking the bank. 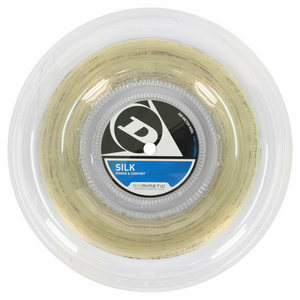 Also makes a good string to use in a hybrid, such as to soften the stringbed when used with a polyester string. . I had strung a racquet of a 4.0 player who plays hard, 2-3 times a week, crossing a black Syn-gut of another brand with a red Biomimetic, 16g. 9 months later, the black string on the mains were full of dents where the strings cross, but the Biomimetic was undented! 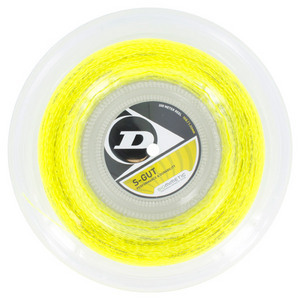 This is a good string, long lasting, for the average player. I did not reuse the Biomimetic in the players racquet, but I did put it in one of my own. Why not It still had plenty of life in it! I gave my friend a full stringing of new Biomimetic 17g. He loves the extra spin the thinner strings give. Others love this string as I do, and the ladies like the pink.